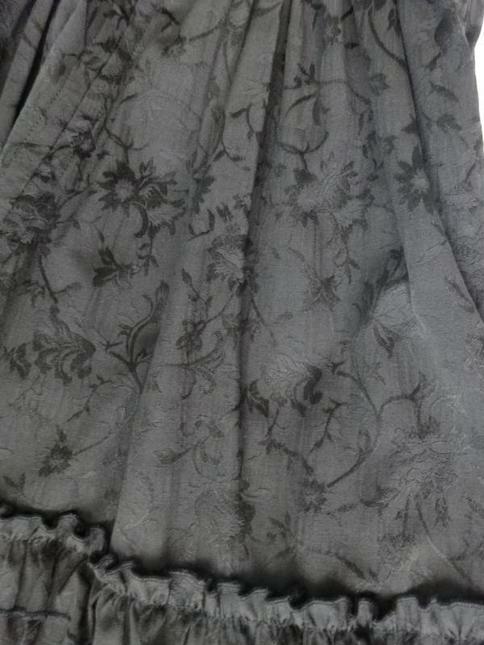 Photos have been lightened to show detail and fabric texture. 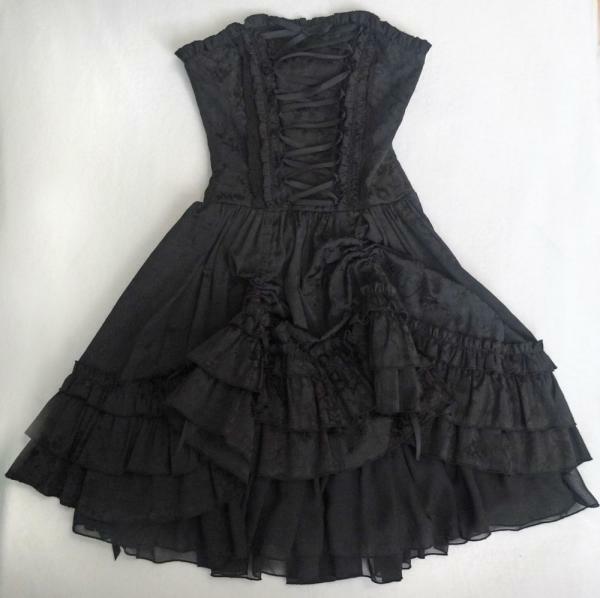 Excellent condition, partial back shirring. 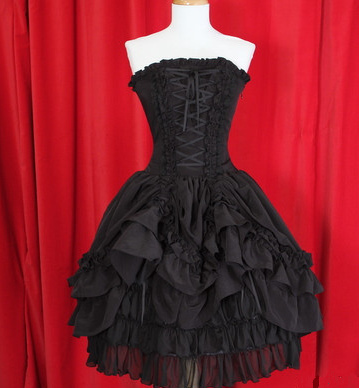 Skirt has ribbons so that it can be bustled, there is a build in chiffon underskirt. Corset has boning. If you would like a closer look at the dress, please click on the profile image to get a large display pop up.